Heat olive oil and insert 1/2 twig rosemary. Let cool and discard rosemary. Remove leaves of large rosemary twig and finely chop. Set aside. In a large mixing bowl, combine sugar, olive oil, wine, lemon zest, rosemary and eggs with a whisk. Add flour mixture and fold until the wet and dry ingredients have just combined. Don’t overmix. 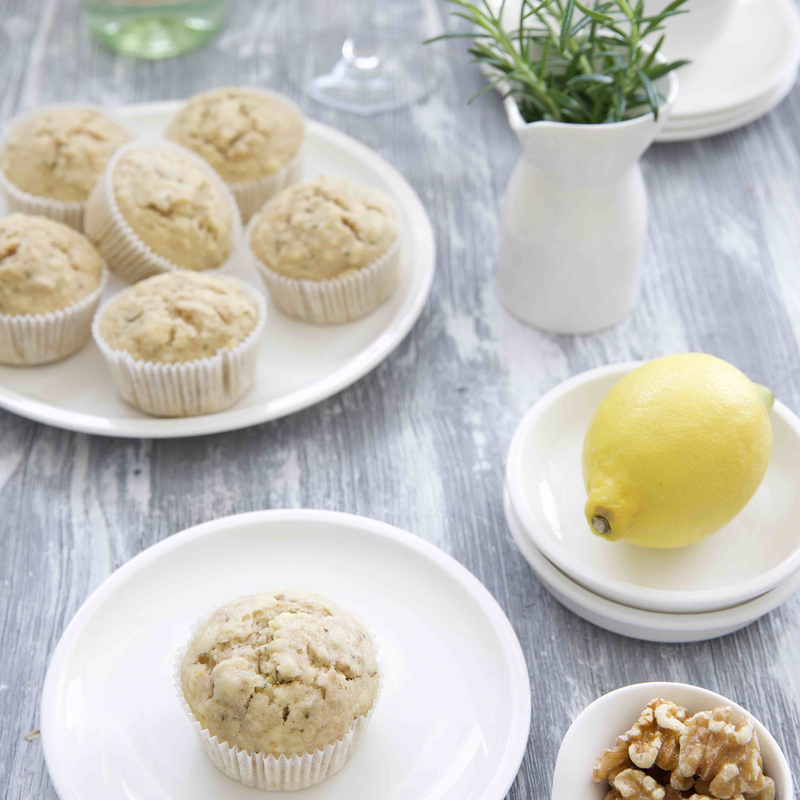 Line muffin pan with paper cups and divide dough evenly between 12 cups. Bake muffins for 18-20 minutes in the middle rack. Let cool on a cake rack.